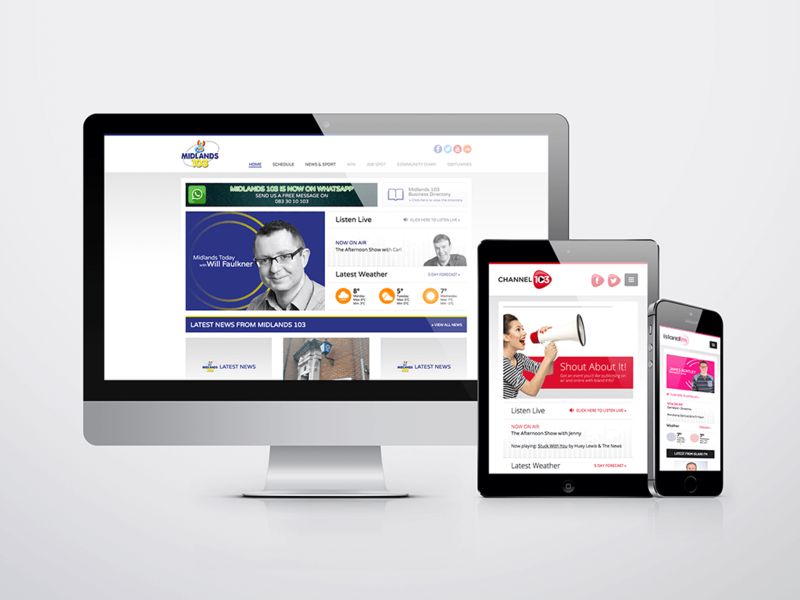 Over the past few weeks we have been working closely with Midlands 103 radio to launch their brand new website. The Midlands 103 website is the final installment that completes a trilogy of new websites for the Tindle Radio Group. It’s been great to work with three major radio stations for Guernsey, Jersey and Ireland.